DENVER (January 21, 2019) – Outdoor Sportsman Group digital program Wentz Brothers Outdoors, featuring 2017 Super Bowl champion and Philadelphia Eagles quarterback Carson Wentz and his brother Zach Wentz, has garnered a presenting sponsorship deal with premium dog nutrition brand Eukanuba for the brothers’ digital series on OutdoorChannel.com. 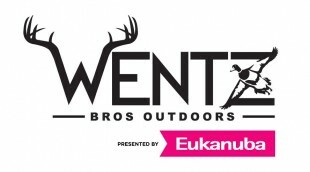 Wentz Brothers Outdoors presented by Eukanuba. The show launches on OutdoorChannel.com on September 3, 2019, as well as MyOutdoorTV.com, and run for 12 weeks. Wentz Brothers Outdoors presented by Eukanuba tells the stories of two brothers from North Dakota – one who happens to play quarterback for the 2017 Super Bowl champions – who love the outdoors, find a sanctuary in the fields and streams and enjoy chronicling their exploits. Carson and Zach Wentz grew up hunting and fishing and this show is an extension of the lives they love away from the constant pressures of professional sports and management. www.eukanuba.com/sportingdogs or follow the social channels at www.instagram.com/eukanubasportingdog or www.facebook.com/eukanubasportingdog.